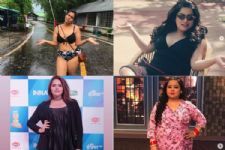 Haarsh Limbachiyaa, husband of ace comedian Bharti Singh and writer of Comedy Nights Bachao came into limelight when the duo grooved to the beats of music in Nach Baliye season 8. Soon they became a household name and started participating in reality shows. 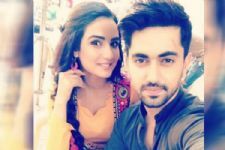 They were seen in Khatron Ke Khiladi 9 and now, the duo is making everyone roll on the floors with Colors TV's Khatra Khatra Khatra. 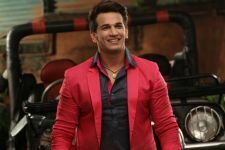 While Haarsh recently added a feather to his cap by turning producer for Khatra Khatra Khatra, he is all set to make his debut in another field. And guess what it is? Meanwhile, Malang has gone on floors earlier today, March 16. The movie stars Anil Kapoor, Disha Patani, Arjun Roy Kapur and Kunal Kemmu in pivotal roles. It is a romantic- horror film. Being co-produced by Luv Films and T-Series, the movie is slated for a release on Valentine's Day, 2020. When Nick Jonas FELT his Wedding Ceremonies with Priyanka must STOP!